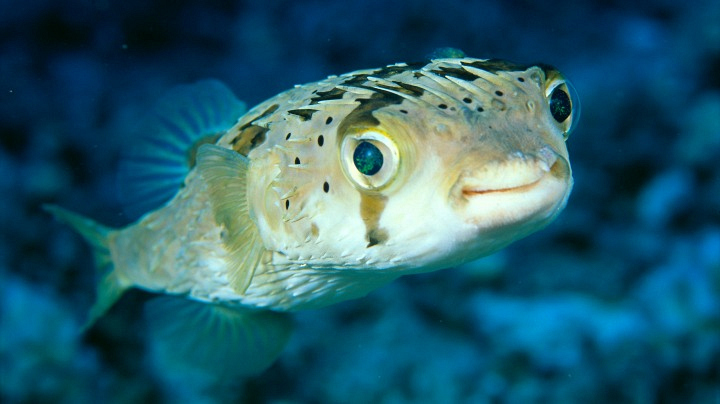 The pufferfish is so cute we could just die—that is, of course, only if we touched it. While these squee-inducing fish look innocent in their relaxed state, they become terrifyingly huge and spiky when intimidated. As if their appearance wasn’t scary enough, pufferfish carry a toxic substance that is strong enough to kill 30 people. Pufferfish is a delicacy in some places, but we wouldn’t recommend ordering it any time soon. Ingesting this creature, even when it’s dead, can still kill you. And did we mention there’s no antidote? Stay far, far away from these smirking sea beasts!